Show off your mechanical skills that you honed as a child on Jakku! 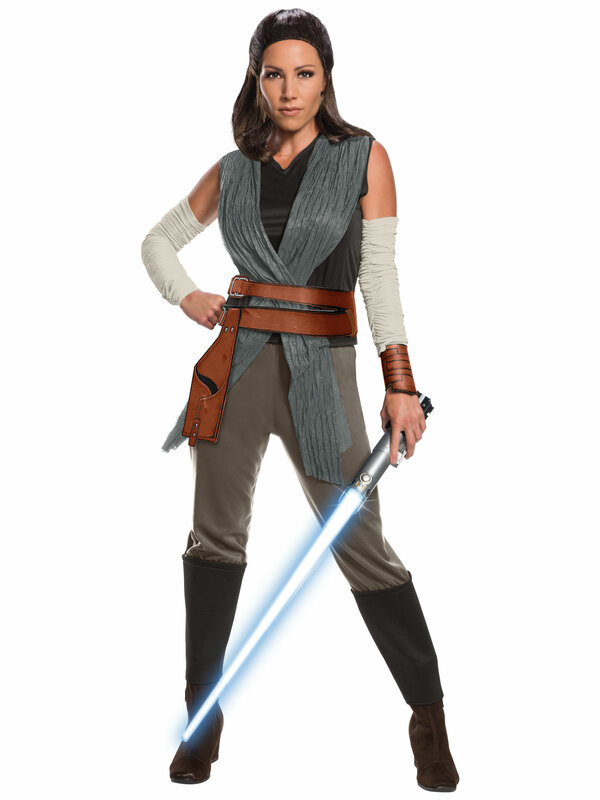 Be the gifted Rey from the Star Wars films this Halloween when you wear our Star Wars Episode VIII - The Last Jedi Deluxe Women's Rey Costume! You’ll transform into this classic character in this multi-hued grey top with attached wraps, pants with attached boot tops, 3D cuffs, 3D belt and arm warmers! May the force be with you on Halloween in this fabulous Rey disguise! Shop our entire selection of Star Wars outfits for men and women!